We believe that it’s not enough to simply provide financial education classes for our students. We will do everything possible to ensure that our in-center and online classes and follow-up support result in a true transformation – enriching our students' lives and helping them to live the life they want to live. Whether a student is interested in becoming an active trader, developing more effective wealth management strategies, or learning how to generate short term income, we have education solutions that can help them. Think back to your days in school. Do you remember taking any classes that taught you how to save and manage your money? Do you remember classes that taught you to invest in the markets and generate income from trading? What about improving your credit score or how to buy insurance? The answer is almost always “no” and yet, knowing how to manage each of these opportunities has an impact on our quality of life. There is a financial skills gap that exists today, and our education fills that void. Our education primarily addresses a demographic of 29 million Americans who are over 40 years old and earn between $50,000 and $150,000 annually. Surveys tell us that only 28% of U.S. workers are confident in their ability to retire financially secure. Additionally, 42.8 million people are currently receiving Social Security benefits in the United States and an additional 10,000 more retire every single day. Today’s workers and retirees are worried about the impact that increasing health costs and this burgeoning number of Social Security recipients will have on their Social Security benefits. As many people lose trust in brokers and financial institutions, they’re looking for a solution that gives them confidence they can live the life they choose now and in their post-retirement life. We believe this will yield a huge market with millions of prospects motivated to pursue the financial knowledge we provide. Whether they’re looking to grow their life savings or trying to fill a monthly income gap, our lifelong education helps students learn the skills they need to flourish in today’s economic environment. 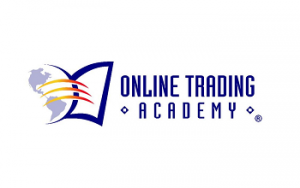 Owning an Online Trading Academy franchise will provide you with the tools and resources to operate a Financial Education Center and change these people’s lives, while enriching yours. Our business has no truly comparable competitors, and we only award one franchise owner into each major market, so you won’t have any other Online Trading Academy financial education centers nearby. You don’t need to be a professional investor or educator to run a successful franchise. We’ll provide you all the education resources for in-center classes and deliver our online education directly to your students. With OTA, you will immerse yourself into the student experience in our Core Strategy Course and our OTA Essentials Training Program. You’ll learn the ropes from a Management and Franchise Support team with hundreds of years’ experience in building businesses and supporting franchise owners. Do you have a passion to help people achieve their goals and dreams? Does this describe you? I am a strong leader willing to lead by example and take a daily hands-on role in the business. I enjoy building and managing a talented, well-rounded sales team. I have an entrepreneurial spirit and have built successful businesses. I am excited to follow a time-tested, proven business model.